NEW DELHI: Centre is working on plans for the new airports in the four metro cities. In case of Delhi, which has the busiest airport in the country, clearance has already been given for the Jewar airport in Greater Noida. This will be an international airport, spread across 3000 hectares. It is expected to bring in investment of up to Rs 20,000 crore and cater to 30-50 million passengers per year over the next 10-15 years. 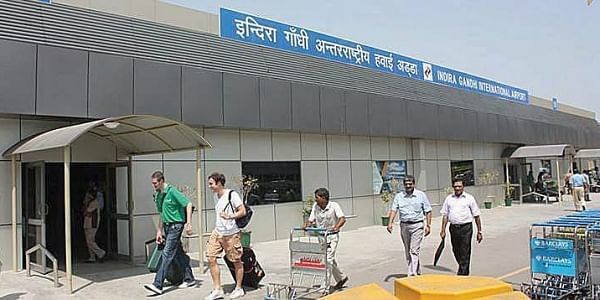 The aviation ministry has also paved the way for using Hindon air base for Delhi flights operating under the Regional Connectivity Scheme (RCS). Mohapatra said: “The air force has allowed RCS flights operating to and from Delhi to use the air base. Work is already underway for construction of the second airport at Mumbai, which is the country’s second busiest airport. The Navi Mumbai airport, first proposed 20 years ago and approved in 2007, is to be built on 1,160 hectares, of which 250 hectares is forest land. Mohapatra said Chennai would need a second airport by 2030-2035 but the modalities were yet to be finalised. It had not been decided whether the airport would be developed on public private partnership model or by the AAI, he said. The government could also go in for a greenfield airport, he suggested. Sources told Express that Civil Aviation Secretary RN Choubey and AAI officials had held two meetings with the Tamil Nadu government in the last three months. “Eighteen months back, we were handling 28 movements per hour (at Chennai) and after making improvements in our air navigation system, we hope to reach 40. With this, we expect we will be managing Chennai till 2030 or 2035. But a city like Chennai will definitely require a second airport thereafter,” Mohapatra said. Chennai handled 18.4 million passengers in 2016 and is expected to reach its maximum capacity of 23-26 million by 2020, if traffic grows at an estimated rate of 12.5 per cent. This was pointed out by the Centre for Asia Pacific Aviation (CAPA) in a recent study. The aviation think-tank had put an expenditure estimate of $500 million for a second airport in Chennai. The West Bengal government has suggested Durgapur airport as an alternate one to Kolkata airport but the aviation ministry has asked it to suggest some other alternative. Mohapatra said Durgapur was at a fair distance from Kolkata and many airlines had not shown interest in that airport so far.